Need to recharge? Find a parking location to plug in your electric vehicle. 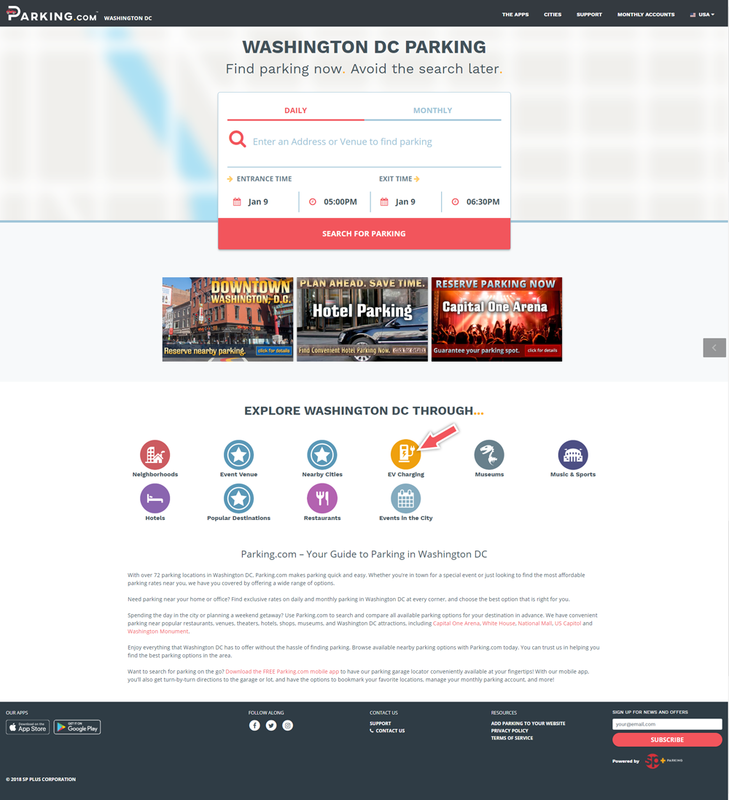 Find the EV charging station closest to you by searching Parking.com or by downloading our app to see the coverage of charging stations in your area. Charge conveniently around town and for out-of-town trips that have you on the road longer. Select your state and city. 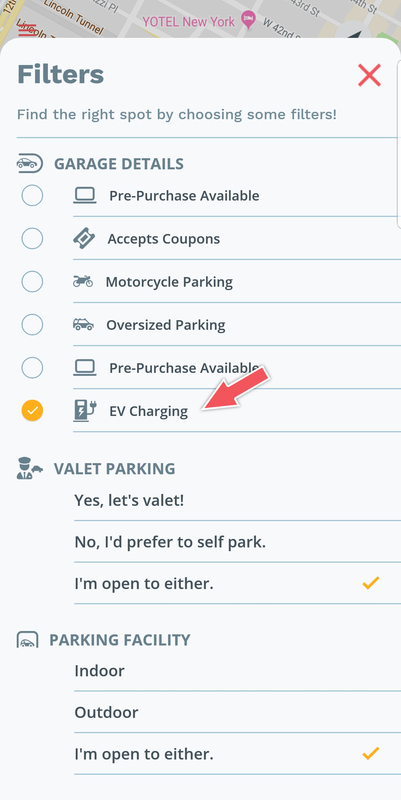 On the city page, click on the yellow “EV Charging” icon for a full list of EV charging locations. 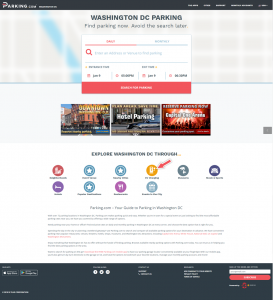 Download the Parking.com mobile app to your device through the App Store or Google Play. Type in your destination name or address in the search bar. Tap on “Filters” above the search bar. 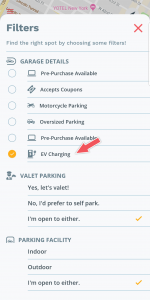 Select “EV Charging” under “Garage Details” to filter the search results. Recharge quickly, conveniently, and on the go. When you own an electric vehicle, you have a few options on how to recharge the battery and get you back on the road. Whether at home, at work, or in public, Parking.com helps you find the public EV charging stations to fast charge your car and get you back on the road. With our network of EV charging stations, you can recharge quickly, conveniently, and on the go. Stations are configured with different Charging Levels, varying in how quickly the charging time results in a full battery. A Level 1 outlet is a standard wall outlet, and also the slowest charge level for your electric car. A Level 2 is what you’ll find within many public charging stations, and drivers can add up to 25 miles of range per every hour charging at a public station. A Level 3 (DC Fast Charging) is the quickest means to get a full charge, though Level 3 stations won’t work with all electric vehicles. Is your electric car battery close to empty? Do you need to plug-in for a brief period to get back on the road? A public EV charging station in your area can have varying price points, and some can be completely free—although these prices don’t include access to the parking facility or parking garage. Through DC Fast Charging, many electric vehicles can get over 60 miles of range in just 30 minutes, but with 240V Level 2 charging stations, the Chevy Volt and Nissan Leaf receive around 11 miles added per hour of charging, where others see just over 20 miles added per hour.